“As the library embedded within UNC’s School of Media and Journalism, we want to create a welcoming environment for all of our undergraduate students, graduate students and faculty, as well as those in the larger UNC Chapel Hill community. We want students and faculty to be aware of the services we offer, including our technology and willingness to help. 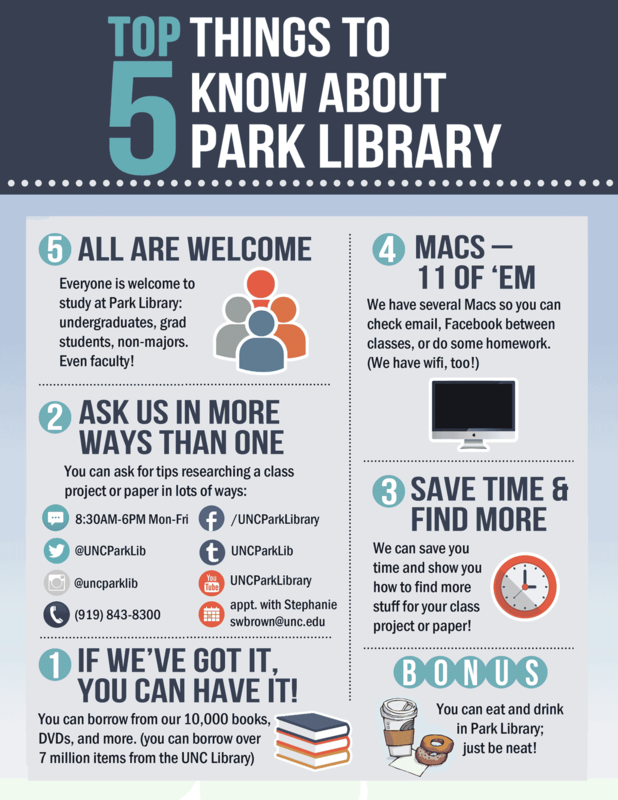 We also wanted to showcase some of what our students learn by presenting the tips in a polished infographic.